The Site Director manages the local site and heads the site commission to insure proper organization and operation of the league within the framework of the USYVL bylaws, guidelines and policies. The position is responsible for communicating with the National Office and keeping them updated about the status of the site. Site Directors will also conduct the Parent Meeting and Coaching Clinic prior to each season. If you are a parent of a child registered to play in one of our leagues, we encourage you to consider volunteering as a Site Director. To prepare a volunteer for the position of Site Director, USYVL offers educational and training opportunities prior to the start of each season. It is the duty of the volunteer Site Director to attend these training sessions. Time Commitment: The estimated hours to fulfill the duties shall be 3-4 hours per week. The anticipated time commitment for a Site Director is the full eight-week season, plus the Parent Meeting and Coaching Clinic. 1)	Organize and maintain the volunteer staff. 2)	Assign equipment with the assistance of the Site Clinician. 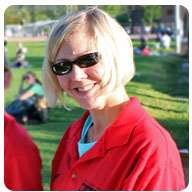 3)	Assign First Aid Administrator to be present at practices and games. 4)	Collect completed 1030 forms and send to USYVL office. 5)	Keep current count of registered players and volunteers. 6)	Place late registration players on teams. 7)	Collect registration fees and forward to the USYVL office. 8)	Keep information under supervision. 9)	Communicate with the USYVL National Office. 10)	Attend training meeting by National office. 11)	Run 1 hr. Parent Meeting at beginning of the season. 1)	Be organized and detail oriented.